The Campbell Jazz Continuum combines the talents of award-winning young musicians with veteran players to produce a sound that’s as fresh as it is timeless. From jazz standards and original tunes to new arrangements of pop favorites, the group’s unique style has delighted audiences around the state of Indiana for over a decade. Members include Campbell Jazz founder, Russ Campbell, Alyssa Campbell, Emma Campbell, Trey Campbell, Julie Campbell, and Rick Singleton. Russ Campbell – Founder of Campbell Jazz Continuum, Russ Campbell has inspired a new generation of jazz musicians and launched the professional careers of his three children, all members of the group. A student of legendary jazz pianist and Ball State professor Frank Puzzullo, Russ performed for years with his own jazz combo at venues around the Midwest before forming Campbell Jazz Continuum with his family. 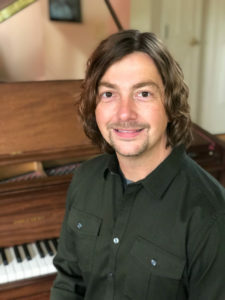 An accomplished arranger and orchestrator whose arrangements have delighted audiences for over two decades, Russ considers each opportunity to make music with his family to be a priceless gift. Julie Campbell – As the “band mom” of Campbell Jazz Continuum, Julie Campbell has worn many hats, from manager and publicist to background vocalist and lyricist. 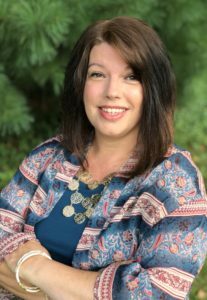 Growing up in a musical household spurred her love of both piano and choral singing and gave her the desire to instill the love of music in her own children as well. Her favorite memories include the sweet tones of violin, cello and piano wafting from the corners of the house when all three “Campbell kids” lived at home and practiced their chosen instruments for hours. Julie is also an award-winning freelance writer who has written over 1,000 articles for both local and national publications. Emmaline Campbell – Twenty-year-old jazz-soul vocalist, violinist and songwriter Emmaline Campbell has been immersed in music since the young age of four, when she began taking private violin lessons. As a 16-year-old, Emmaline made her first appearance as a solo violinist with the Anderson Symphony Orchestra. Though Campbell’s musical roots are in violin performance, she recalls spending most of her free time as a young girl singing, songwriting and forming her own local bands. 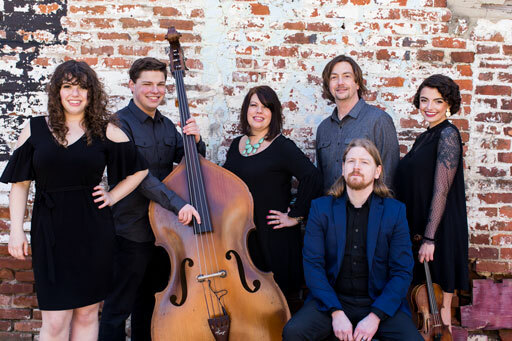 Since high school, Emmaline has performed on and sold out renowned stages at venues such as The Rockwood Music Hall in New York City, The Steppenwolf Theatre in Chicago, The Woodward Theatre in Cincinnati, The Columbus Jazz Festival and many more. A former student of Cincinnati Symphony Orchestra Concertmaster Timothy Lees and ASO Concertmaster Byron Plexico, Emmaline is currently a junior jazz studies major at the prestigious University of Cincinnati College-Conservatory of Music. Since hitting the popular music scene in 2017, Emmaline has experienced massive growth in her social media following and has reached over 200,000 combined fans on Instagram (@emmalineofficial) and Facebook (EmmalineBand). 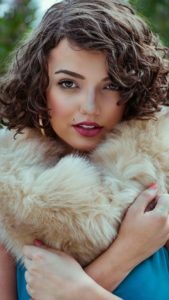 She appears regularly as the lead singer in her jazz band that performs under the name “Emmaline” at festivals, jazz lounges and music venues around the country. 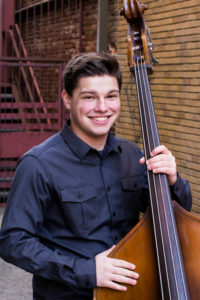 Trey Campbell – A senior in high school and the youngest of the Campbell siblings, Trey Campbell began playing cello with the family band at the age of eight. In 2014, Trey picked up the electric bass and eventually added upright bass to his instrument collection. He currently studies jazz bass with acclaimed bassist and Ball State University assistant professor Nick Tucker and performs in a jazz combo at Ball State. Trey is also a member of the double bass section of the Anderson University Orchestra. In his free time, Trey enjoys composing covers of video game tunes for his unique YouTube channel, bassclefgamer. He is a sought-after bassist and has performed at venues in New York City and Cincinnati as well as around the state of Indiana. Alyssa Campbell Huff – Award-winning young composer Alyssa Campbell Huff, the eldest of the Campbell siblings, has been in love with music since the tender age of five. In high school, Alyssa discovered her passion for composing and songwriting, and her first solo piano work “Memory” was awarded first place in the Original Composition category of the 2013 Young Hoosier State Piano Competition. She continued her study of music at Anderson University and graduated with a bachelor’s degree in music business with an emphasis in music composition in December of 2017. 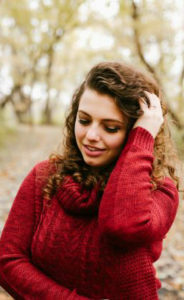 After graduation, Alyssa was honored as a national finalist in the 2018 MTNA National Composition Contest for her three movement suite titled “Musica Universalis.” In addition to writing original works, Alyssa also creates custom arrangements for clients including the Anderson Symphony Orchestra and former touring Broadway actor Gary Hofmeister. When she’s not writing or teaching piano, she performs around the state with her band, playing her original songs as well as putting her spin on covers of popular tunes. She plans to release her first EP this fall. You can follow her music on Facebook and Instagram: @alyssacampbellmusic. Rick Singleton – Rick Singleton may not be a Campbell, but his passion for music has endeared him to the family as one of their own. Rick is the owner of The Slick Music Studio, a private music lesson studio in downtown Anderson which has educated hundreds of local students over the past 10 years. 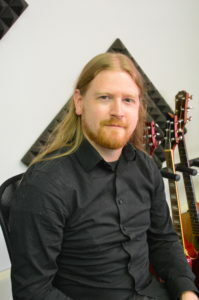 He has been teaching music full time for 15 years on percussion, bass, guitar, mandolin and banjo. He also performs regularly on stage and in the studio with many different artists of various genres. Rick has been performing with Campbell Jazz Continuum since 2016.